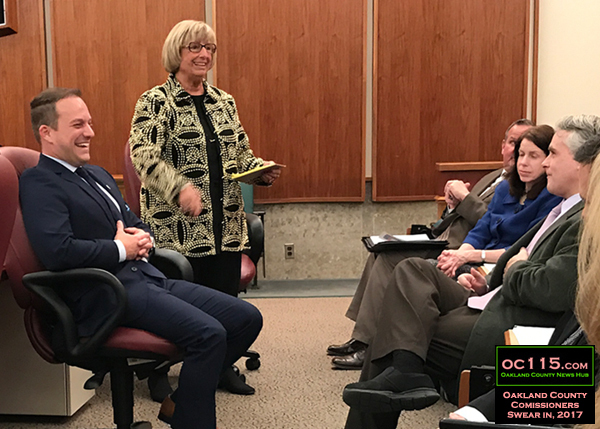 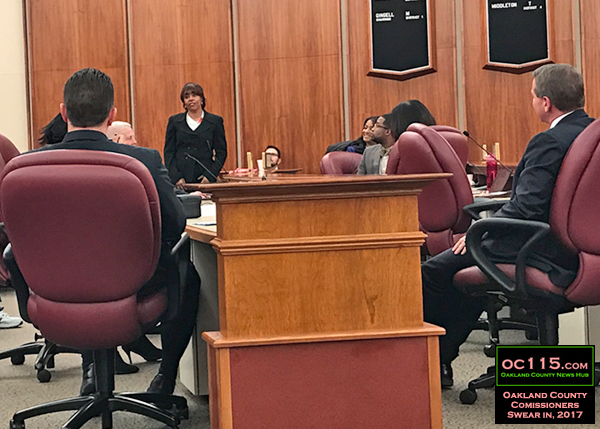 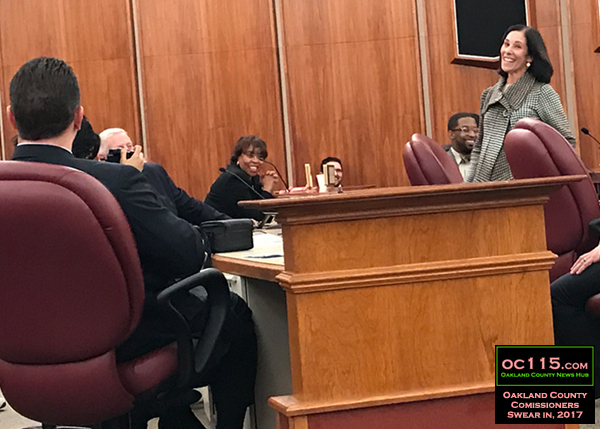 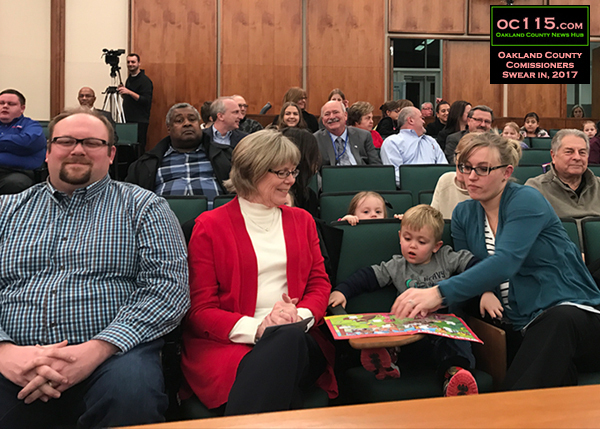 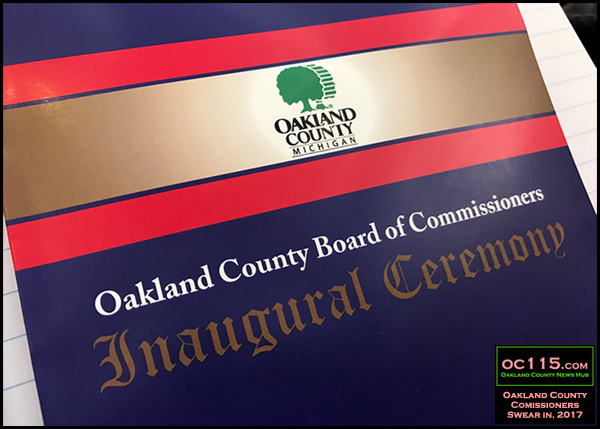 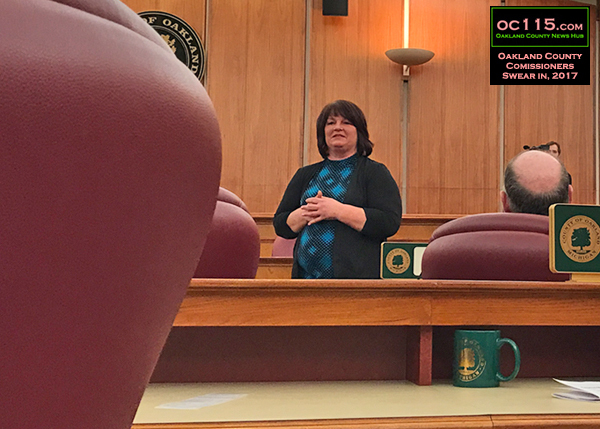 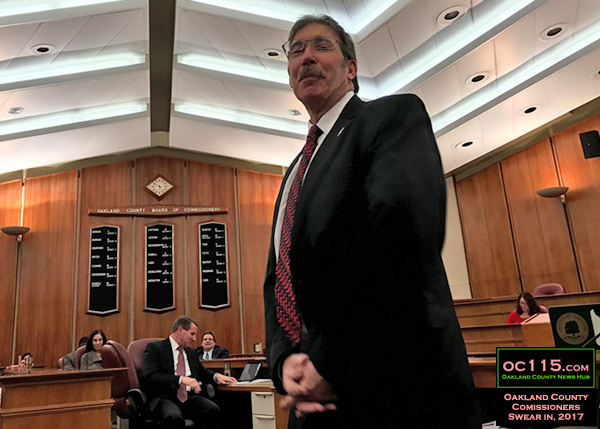 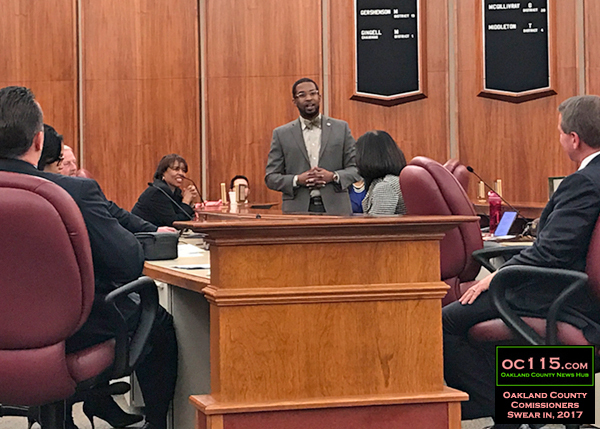 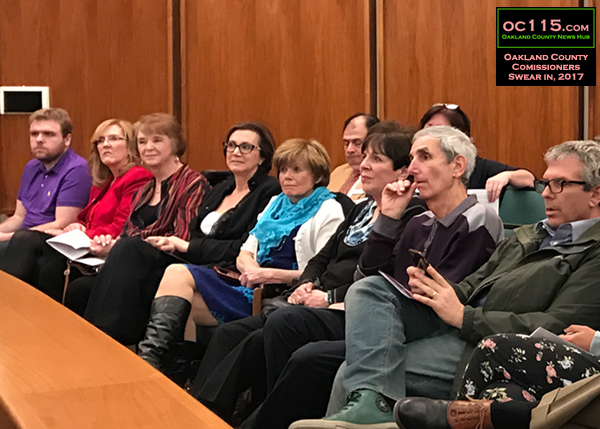 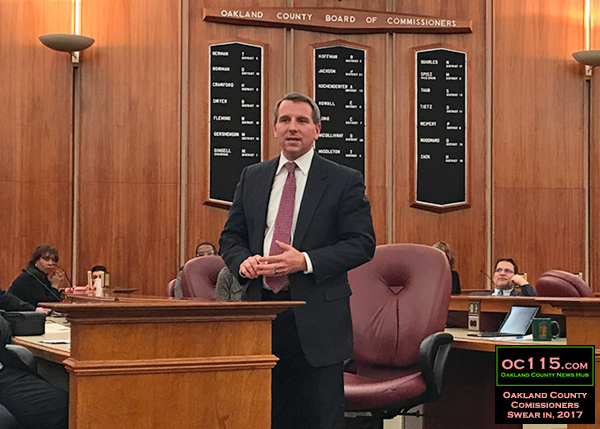 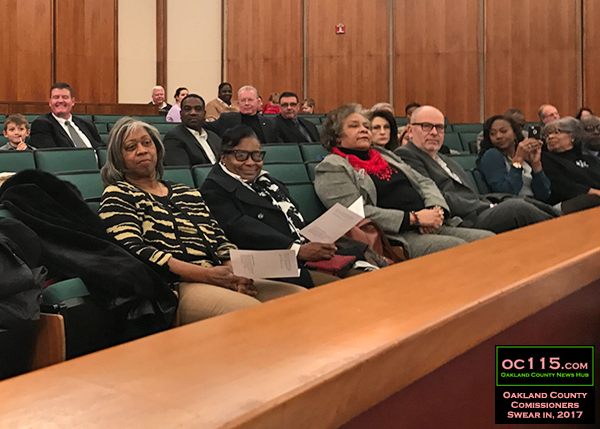 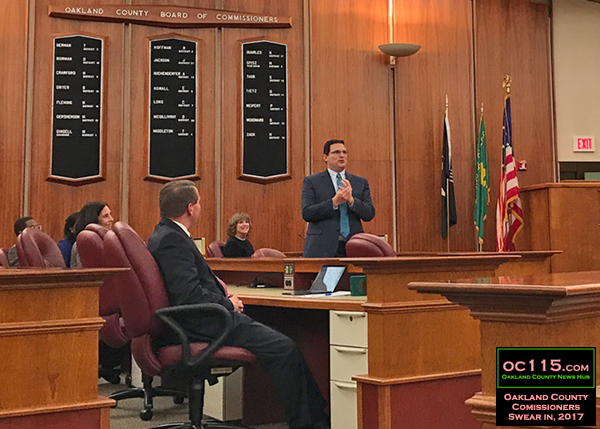 Pontiac, MI – The Oakland County Board of Commissioners made their official start to the 2017-2018 term with a swearing in ceremony Wednesday night at the County Commission building in Pontiac. 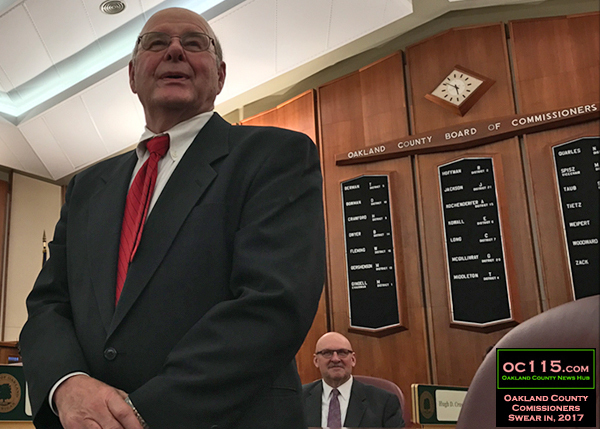 Nineteen of the Commissioners were incumbents that had been re-elected. 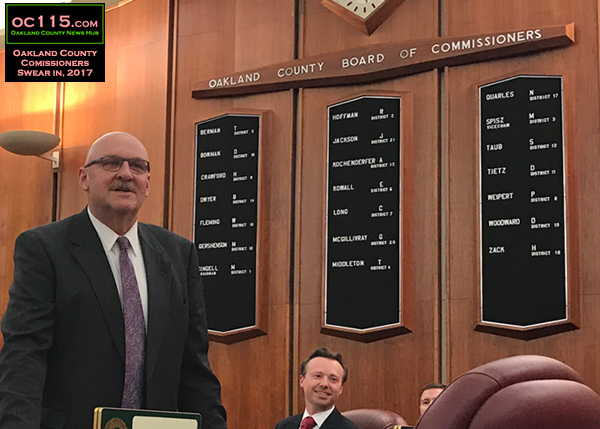 Two new Commissioners took the Oath of Office as well: Republican Tom J. Berman of Keego Harbor and Republican Doug Tietz of Troy. 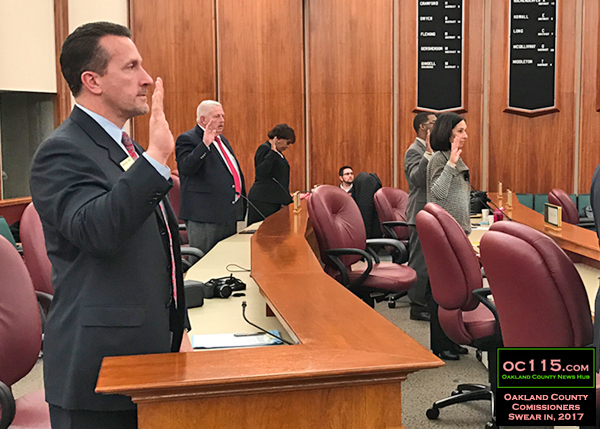 Republican Michael J. Gingell was re-appointed to serve as the Chairperson of the Board, with Republican Michael Spisz serving as Vice-Chair. 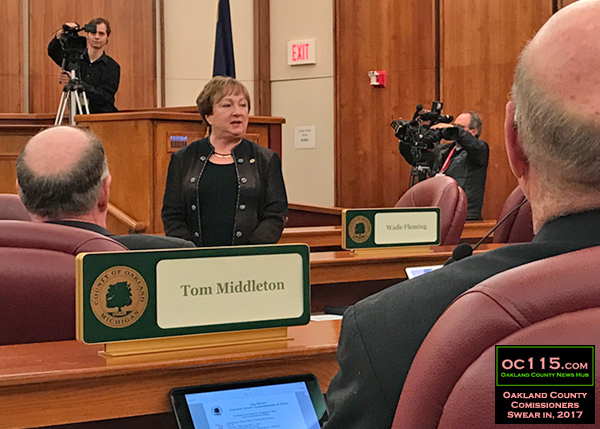 Only Commissioner Marcia Gershenson voted against the appointments, stating she would prefer to see a woman serving in the leadership position. 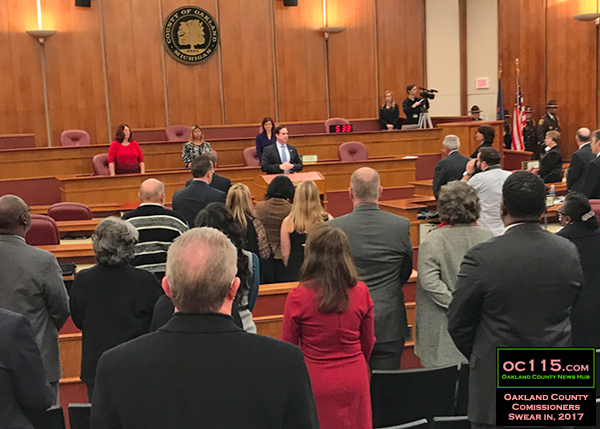 After taking the Oath of Office, each Commissioner welcomed those who had come to see them get sworn in. 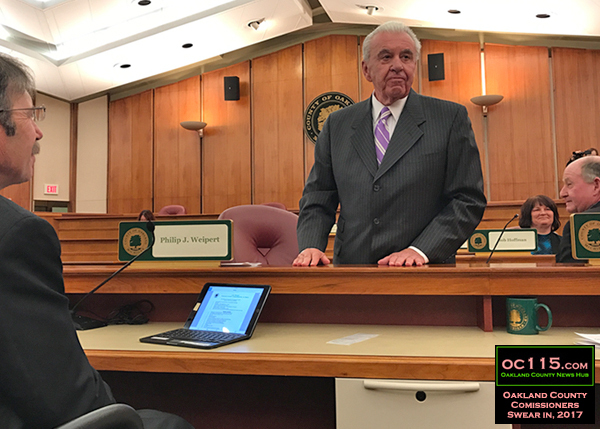 Michael J. Gingell (R-City of Auburn Hills, City of Lake Angelus, Independence Township, Orion Township and the Village of Lake Orion). 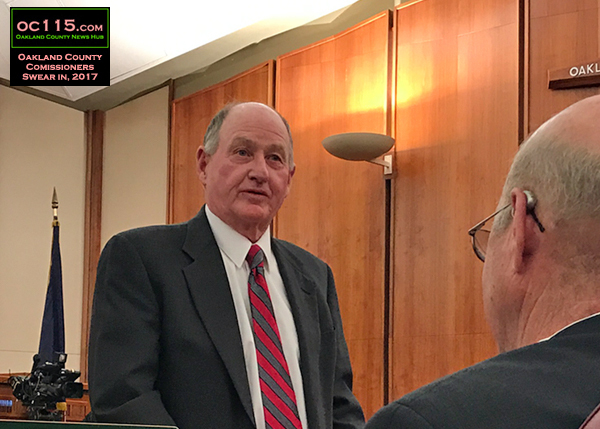 Michael Spisz (R- Addison Township, Brandon Township, Oakland Township, Oxford Township, Village of Leonard, Village of Ortonville and Village of Oxford). 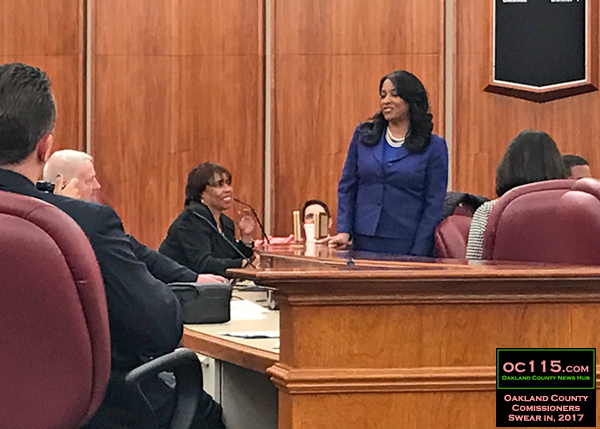 Helaine Zack (D- City of Ferndale, City of Hazel Park, City of Huntington Woods, City of Oak Park and Royal Oak Township). 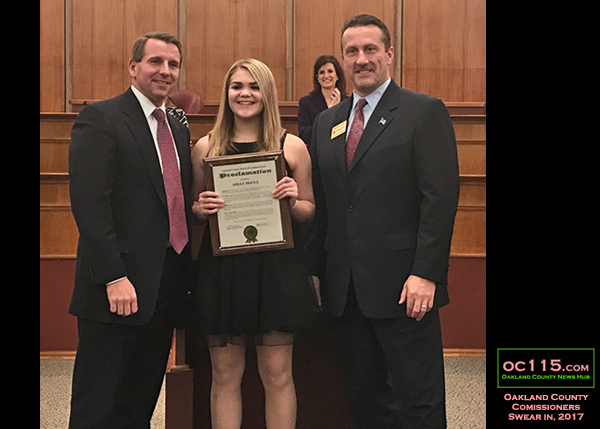 The National Anthem was sang by the 2016 American Guild of Music’s NAIC Award Winner Adele Houle. 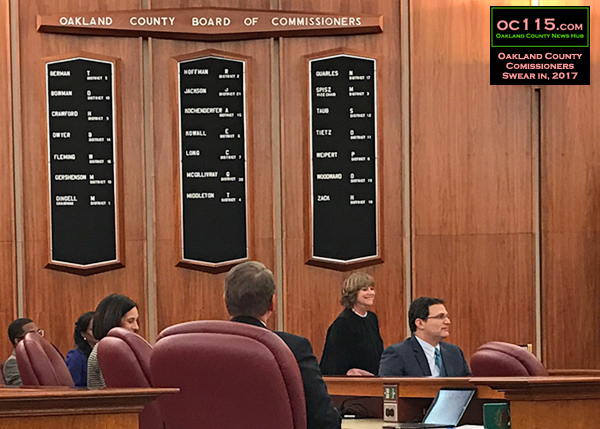 Learn more about the Oakland County Board of Commissioners at https://www.oakgov.com/boc.